Very clean, friendly staff, very nice modern room. Great location right across from the train station and just steps from metro stops. Resturants were nearby. Jeremiah and Habtesilasie were super friendly! They definitely added to our trip by teaching us some French and knowing us by name. Location was perfect as we needed to catch a train the next day. The location is just in a walking distance from metro station. I loved everything about the hotel. Great location, staff. 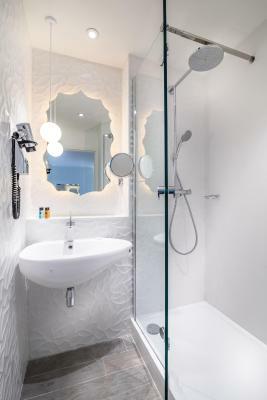 Large shower and room. I can’t wait to book again when I’m back in Paris. Excellent location, premium accommodations for a bargain price. Would stay here again for sure. 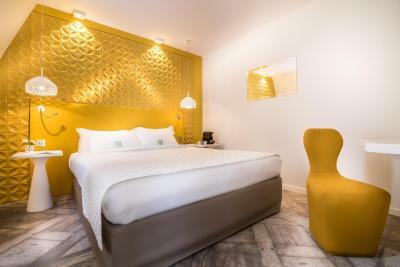 One of our top picks in Paris.This Holiday Inn Paris Gare de l'Est hotel is located opposite Gare de l’Est Train and Metro Station, which provides direct access to attractions such as Saint-Michel and the Latin Quarter. It offers a lobby bar with lead glass windows. 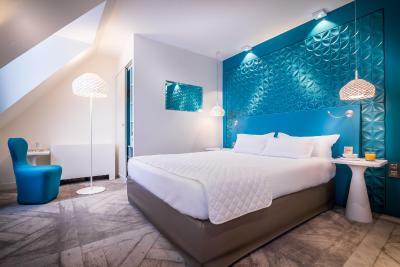 Guest rooms at Holiday Inn Paris Gare de l’Est have a contemporary décor. 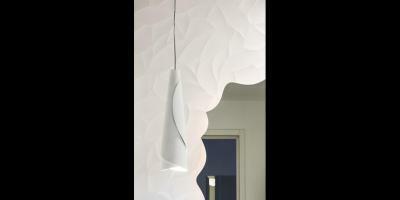 They are equipped with an LCD satellite TV and a coffee machine. An American-style buffet is served each morning in the breakfast room or in guest rooms. 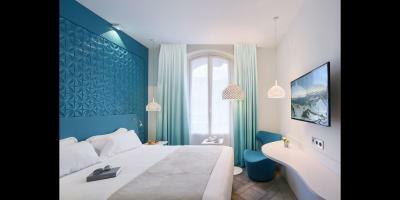 The Paris Gare de l’Est Holiday Inn also provides a 24-hour reception. 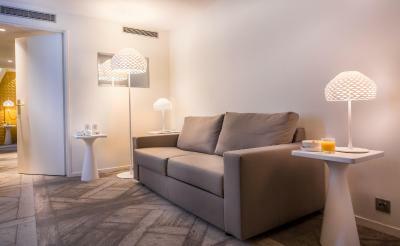 Free WiFi access is available throughout, while cable internet is available in the guest rooms. 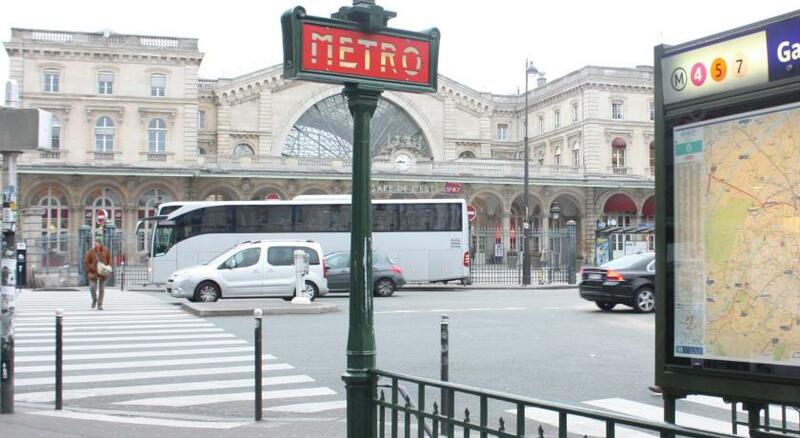 Gare du Nord is also very close, only a 5-minute walk from the hotel. 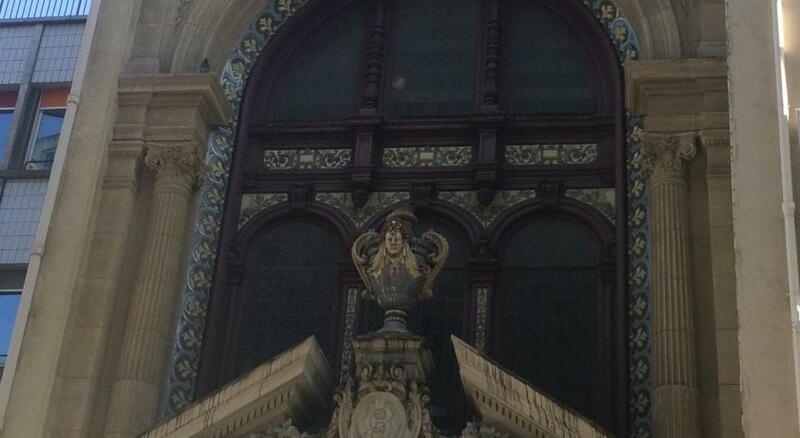 Some guests may choose to walk 20 minutes to Arts et Métiers Museum. 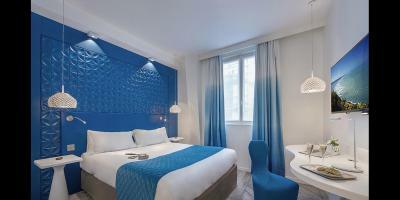 When would you like to stay at Holiday Inn Paris Gare de l'Est? 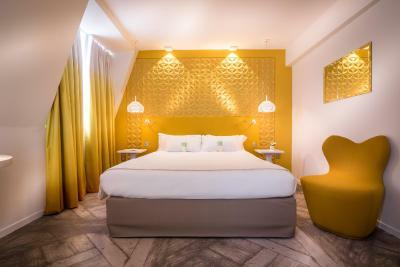 Holiday Inn Paris Gare de l'Est is housed in a grand, century-old building with stained-glass windows. 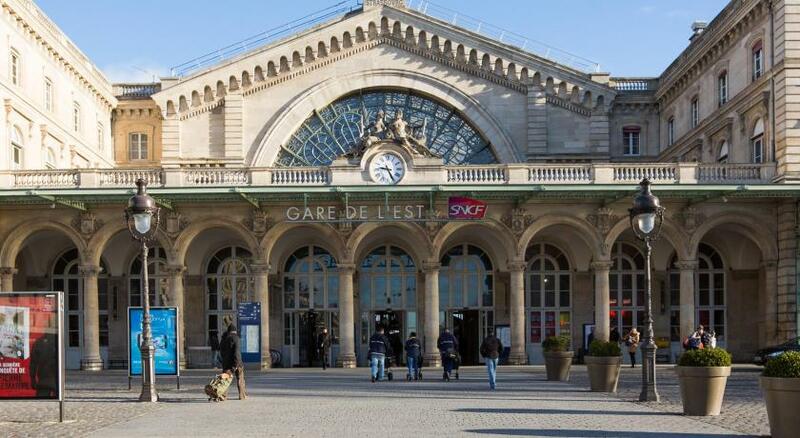 We're the only hotel to overlook Gare de l'Est station, which welcomes trains from all over Europe. 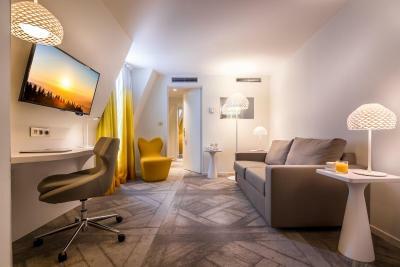 House Rules Holiday Inn Paris Gare de l'Est takes special requests – add in the next step! Holiday Inn Paris Gare de l&#39;Est accepts these cards and reserves the right to temporarily hold an amount prior to arrival. Holiday Inn Paris Gare de l'Est accepts these cards and reserves the right to temporarily hold an amount prior to arrival. Please note that when 5 rooms or more are booked under the same name, special conditions may apply. 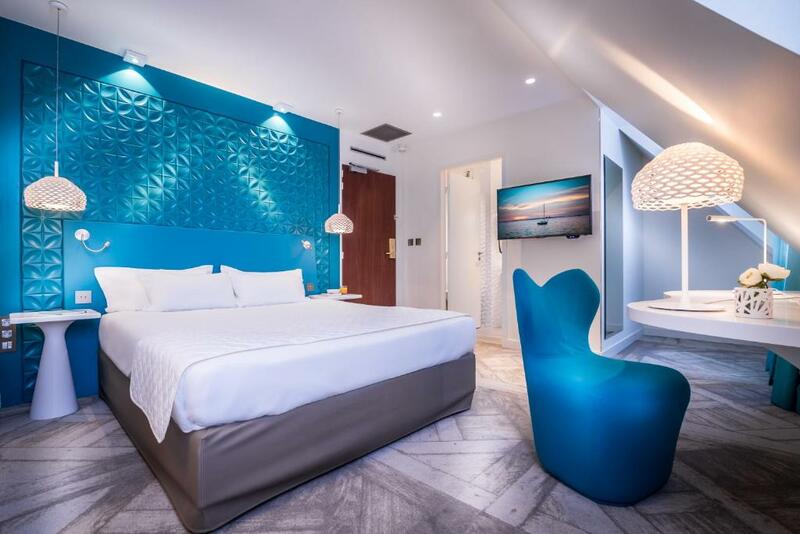 Please note that a pre-authorization of the total amount of your stay, breakfast, city tax as well as EUR 50 per day for extras will be made on the card used for booking. Please inform Holiday Inn Paris Gare de l'Est of your expected arrival time in advance. You can use the Special Requests box when booking, or contact the property directly using the contact details in your confirmation. - Prison Cell Room (the door hitting the bed when opened) - Bad breakfast no variety - Area is the worst in paris (dirty surrounding) - Had to pay extra Room for my 3-Years Old Child Not even connected but 2 rooms away !!!! If you are a Family NEVER BOOK ! Breakfast Buffet was average and expensive. Upgraded to executive room which seemed average. Location was out the way from things like the eiffle tower. Only a few milks put in for coffees/tea had to keep asking for more. Bed was comfortable. Staff were very friendly and attentive. There was a good selection for breakfast. The room (I got an upgrade because front desk wanted to make up for a mistake during check in) is spacious and comfortable. Room is not as shown in the picture of booking.com while select the room. Very very small room, No complimentary water available at a 4 star hotel. Late check out was not given even for extra 5 minutes. Paid for late check out. The room's decor was a bit dated, and ought to be modernised. However, this did not negatively impact the overall experience of my stay. The reception was great and the staff was friendly. The room was immediately ready and there was no waiting. 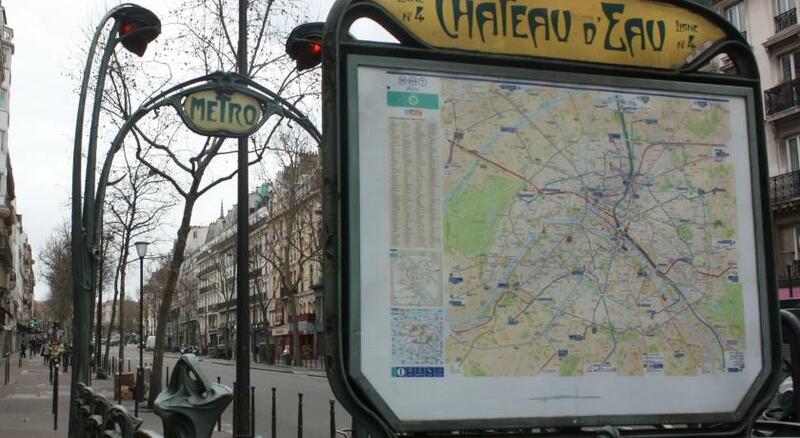 The location is in close proximity to the metro and the Gare du Nord. The breakfast and food was little pricey for the quality. 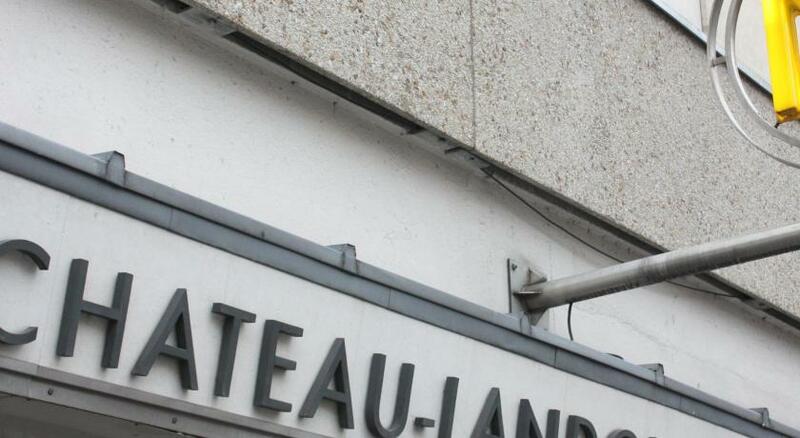 The location was close to the station gare de lest so going to the city was easy. Located close to the metro,...easy to get around. Loved the king suite. Was comfortable with kids. The reception persons were awesome. Opposite to gardlest providing easy access to the trains.